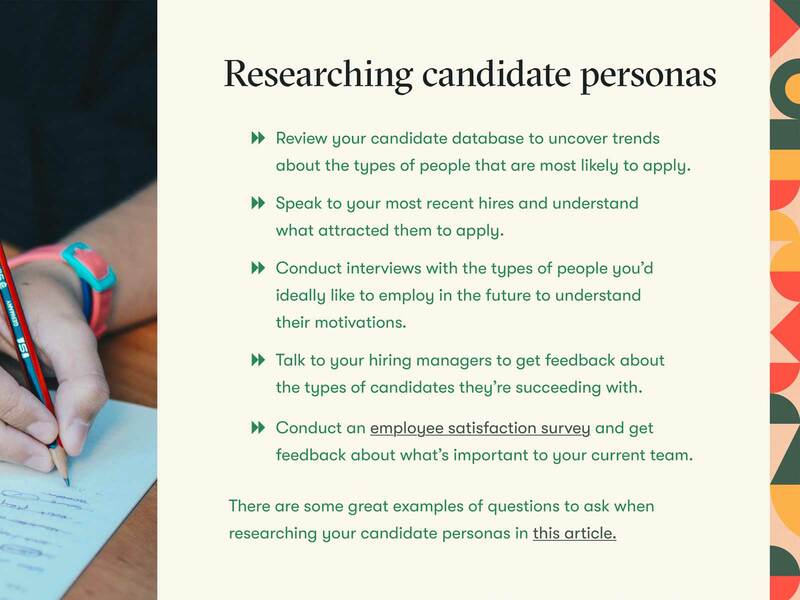 Easily organize information about the type of candidates you want to attract. 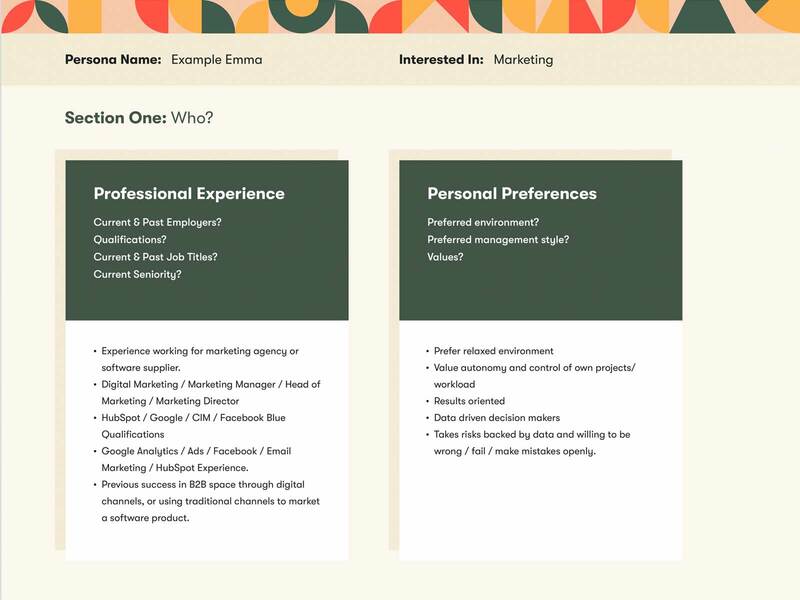 Tailor your recruitment advertising to the types of candidates you want to attract. Provide a candidate experience that takes into account the needs of the types of people you want to hire. Tailor your benefits package and employee value proposition to retain more of your best team members. 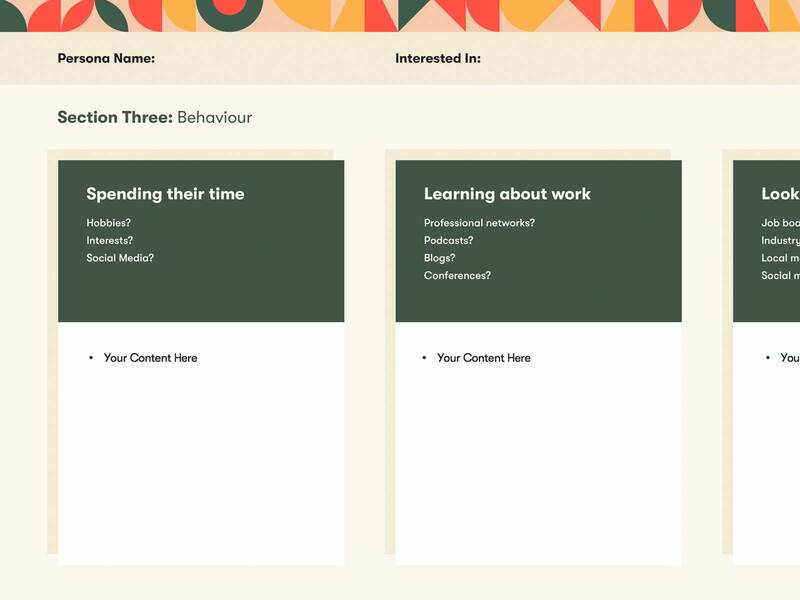 Conduct reserach, interviews, and surveys to build your own candidate personas. 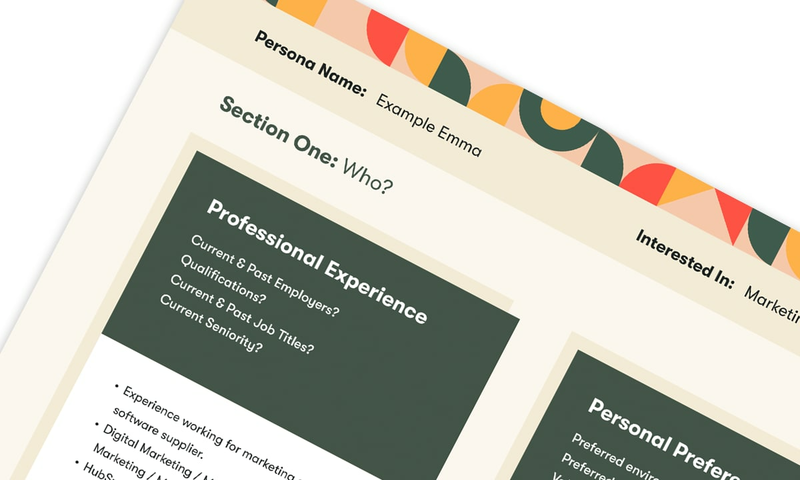 See candidate persona examples as a guide to creating your own. 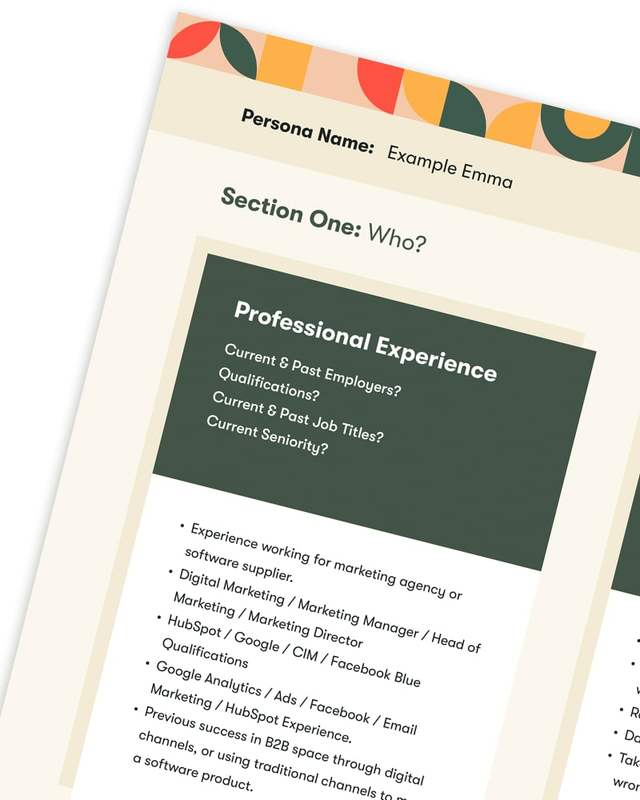 Easily create well-presented candidate personas using our customisable template.